A “Mindful Move” can alleviate the stress of moving by focusing on giving back and positively impacting others within your old and new community. We are all trying to be more mindful. No reason to “try;” instead, relax and be. Easier said than done, right? We all strive to be mindful: aware of emotions, present in the moment, attentive to the needs of others, conscious of our planet and calm. But, in our mindful practice, we tend to let the stressful moments of life knock us off course. And, we all know that one of the most stressful times is moving. Even during your move, you can be mindful which will actually help you relieve the stress. The goal is to stay present, aware and to not allow the outside turmoil of all your added to-dos for your move dictate your mood. Here’s a proven trick: Flip your mindset from reacting to the moving and packing to-dos, to how your move can impact you and others. By remaining thoughtful throughout the process and using the power of kindness, you can make your move a positive experience. After all, kindness is contagious; so spread it all around on moving day and in your new hood! Moving can be a time of giving. Show your new community and your old community some love by thinking about their needs. Now, take another look at all your stuff and your clutter. Do you really want, or need, all that in your new home? Perhaps, you have clothing, furniture, kitchen items or even food you have been meaning to clear out? No time like the present to give presents to those in need. 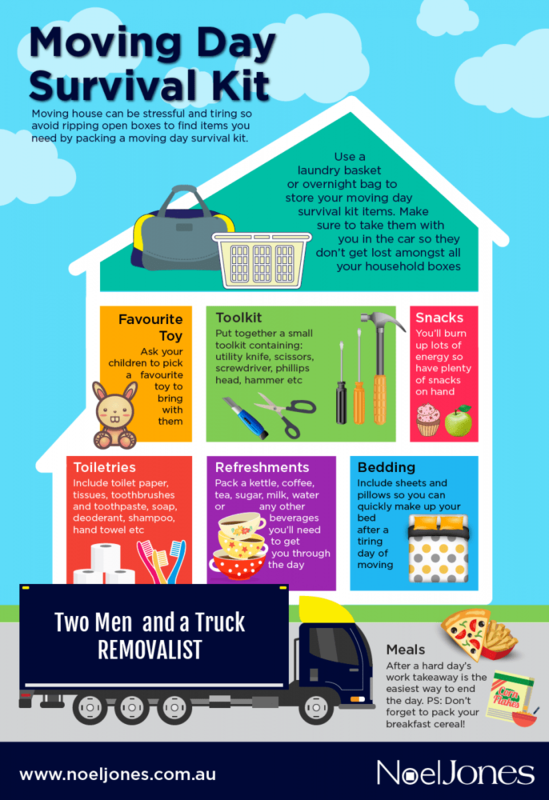 This is not just another to-do on your moving list, it’s very simple and the rewards are immense – it’s the ultimate win-win! You assist others and at the same time you receive a clutter free home. And, a clutter free home is a more mindful space, nurturing a clearer mind and calmer life. Find your local food bank here. Local Ronald McDonald House. Find a local Ronald McDonald location or care mobile here. Many local shelters or children’s charities accept toy donations. Use this Homeless Shelter Directory to find shelters in your area. Organizations like My Stuff Bags and Stuffed Animals for Emergencies offer children a familiar object in times of crisis. Other places to check include a children’s social services office and even stores often have a donation bin at the front entrance where you can place donations. Time to show Mother Earth some love. Moving is the time we finally clean out those closets, junk drawers, spare rooms, attics and garages. Moving time equals major trash time. What if you were more environmentally conscious on moving day? That would be pretty mindful, wouldn’t it? The great green news is there are simple steps you can take during a move to reduce your waste. Being eco-conscious on moving day will boost your mood and your wallet! 1. Use Eco-Friendly Moving Supplies: From boxes, packing paper to bubble, there are now green 100% recyclable materials to keep our neighborhoods cleaner and greener. Yep, there is even biodegradable eco-bubble, pop away guilt free. ECO-BONUS: Save money by asking your moving company for used boxes made of recyclable materials. You can get used boxes at a discount and some moving companies will even give you a refund for returning your used boxes at the end of your move. Pop! Pop! Cha-ching! 2. It’s Not Just for the Movies: Instead of the foam popcorn and peanuts, use real popcorn to pack fragile items! Just pop and fill the gaps in your boxes to secure and pad fragile items. Cheap and earth friendly! 3. Be Kind to Your Electronics: Contact a domestic e-waste recycler so your old computers, microwaves, etc. are recycled domestically, under strict environmental laws, rather than being shipped off to be processed by highly toxic and polluting techniques. 4. Don’t Just Toss it out. Upcycle and recycle everything you can. Don’t just send your old stuff to the land fill. See above on how to Donate. Donate. Donate. 5. Hire an Eco-Conscious Moving Company: Use your “green” to influence and encourage green habits by hiring companies that use environmental-friendly practices. Make sure your moving company is bright green by asking: Does the staff recycle? Are the offices and warehouse designed to be energy efficient? Do they use biodiesel to run their trucks? Do they use 100% recyclable materials? Do they sell used boxes? Do they buy them back at the end of the move? Chances are if they care about the earth, they are mindful of their customers too! By using the power of mindfulness and kindness, you will feel more relaxed and calm during your moving experience. There is no better way to start a new chapter in life than feeling good about giving back, free of clutter and present in your new home! Time to relax and say how good it is to be om. Next postGet ready for the next wind storm coming up .